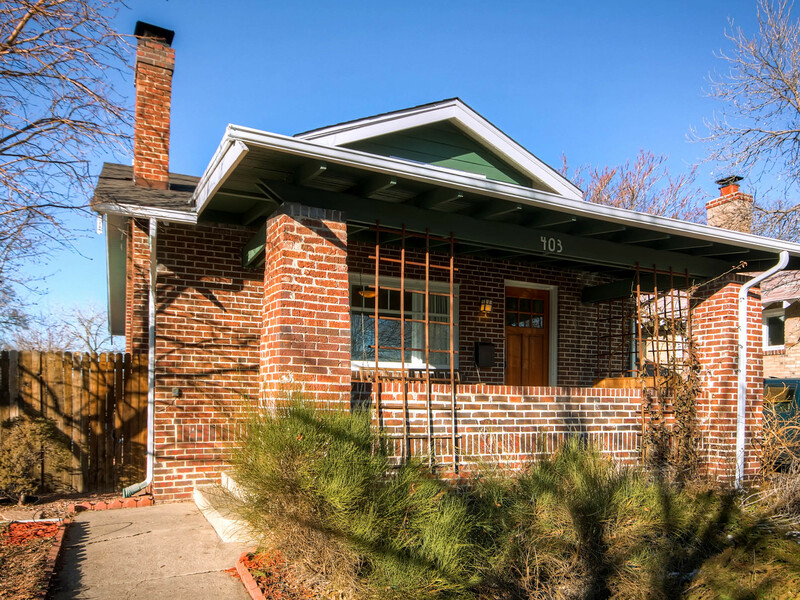 Charming Platt Park Bungalow for sale at 403 E Louisiana Ave. This wonderful home has been beautifully updated and maintained. It features a new kitchen with stainless steel appliances, granite countertops and custom cabinetry. Ideally located just three blocks from the light rail with the restaurants and shops of Old South Pearl just around the corner. Washington Park is but a short stroll up the street. Watch the world go by from the front porch then step inside to the cozy living room with original wood burning fireplace and built-in bookcases. The dining room with it’s large west facing window, just off the living room provides a great setting for family dinners. On warm summer evenings take the party outside to the patio just off the kitchen with private enclosed yard. Two bedrooms on the main level and a third in the basement for the occasional guest or growing family. New roof and exterior siding. Updated full bathroom. Extra storage space in the basement.